Whether you’re at the scene of an accident or witnessing a health-related emergency, most people will be involved in a crisis situation at some point in their lives. Are you prepared to help? Do you have the skills to respond quickly? We teach all of our First Aid & CPR courses through Divers Alert Network (DAN). DAN is a nonprofit, dive safety organization designed to assist scuba divers with emergency medical advice and assistance for all types of scuba diving injuries. Our Diving Emergency Management Provider (DEMP) program helps you identify various emergencies and teaches you how to properly administer first aid. 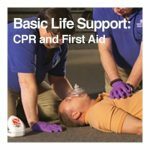 The DAN Basic Life Support: CPR and First Aid (BLS: CPR&FA) course will help prepare you to handle cardiovascular events and other life-threatening incidents. Our DAN Instructor Qualification Courses (IQC) train and educate qualified scuba diving educators to plan, manage, conduct and promote dive safety. They are your pathway to becoming a DAN Instructor. Developed by medical experts, DAN’s courses are easy to understand and designed to provide you with the skills and confidence you need to respond in emergency situations. 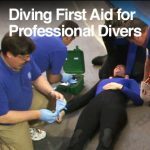 DAN first aid courses prepare divers to manage injuries related to scuba diving. All courses meet the 2010 ILCOR and AHA CPR guidelines. The training can also extend to other environments. Isn’t it worth a few hours one evening or weekend to learn the skills that could save a life?